This is the fortieth anniversary of the priestly ordination of Archbishop Brennan, Universal Primate of the Order of Corporate Reunion. He was ordained as a married priest on the Vigil of Pentecost 1972 and his first Mass was on Pentecost Sunday. 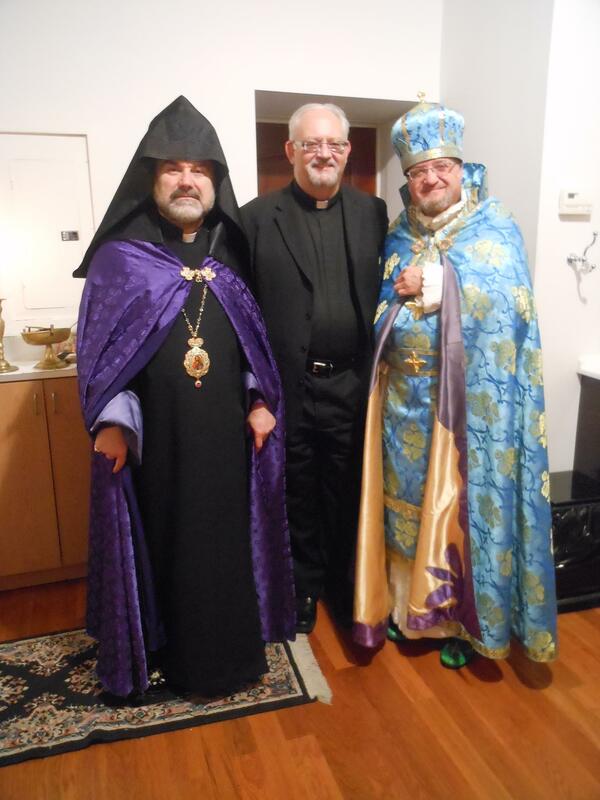 The photograph above shows Archbishop Brennan (centre) with the Armenian Bishop and Vicar General, Amaushavan Danelian, and the Archpriest Father Krikoris Keshishian of St. Stephen’s Church in Connecticut, who was the celebrant of the liturgy in commemoration of the Armenian Genocide on April 24, 2012 at St. Illuminator’s Apostolic Armenian Cathedral in New York City.